Igor Stagljar is a Canadian molecular biologist and Professor of Molecular Genetics and Biochemistry at Donnelly Centre (CCBR) located at the Medical School of the University of Toronto. 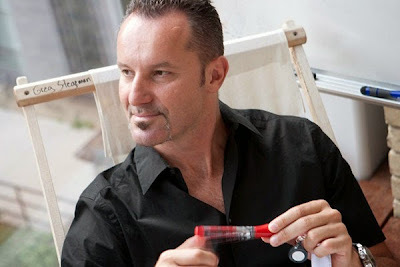 Born and raised in in Croatia, Stagljar received a BA from the University of Zagreb in 1990 followed by a PhD in molecular biology from Eidgenössische Technische Hochschule (ETH) Zurich in 1994. Stagljar's research has led to many groundbreaking discoveries and the elucidation of functions of various membrane proteins involved in human health and disease. His current studies are exploring how cell signaling and membrane transport pathways control cell behavior in normal and cancer cells. In addition to participating in sports and making wine as a hobby, Stagljar is also a co-founder of Dualsystems Biotech Inc, one of the world-leading companies in the field of interactive proteomics. Stagljar first appeared on our Stylish Scientist List in 2014...with quite a Debut. He took the #1 spot on the men's list.